Samsung has now launched its Galaxy Grand 2 smartphone in the Indian market. This smartphone was first announced earlier last month and is a successor to Samsung’s popular Galaxy Grand device. The same has gone on sale in the country now for Rs 22,999 and will lock horns with the Lumia 1320 which has been priced similarly and provides for a worthy alternative. Let us have a look at the specs of the Grand 2 before we pit it against the Lumia 1320. Built: The Samsung Galaxy Grand 2 is about 8.9 mm in thickness and it weighs nearly 163 grams. It has leather back like the Note 3 which lends it a premium feel. Display: This device comes with a capacitive touch display of 5.25 inches that provides a resolution of 1280 x 720 pixels. That is the best you can get at this price point from a reputed manufacturer so we can’t really complain in this regard. Processor: This smartphone has been equipped with a quad core processor clocked at 1.2 Giga Hertz. Its a Snapdragon 400 unit and you can expect a decent level of performance from it. 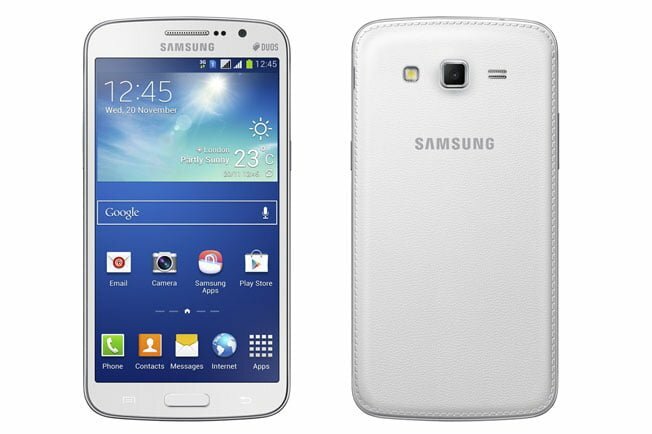 Operating System: Samsung Galaxy Grand 2 works on Android 4.3 Jelly Bean platform. It might get a Kitkat update as well but not beyond that. Memory: This smartphone features a RAM of 1.5 GB and inbuilt storage space of 8 GB. It also offers expandable storage space of up to 64 GB with the help of a micro SD card. A 2GB RAM would have been more than welcome but that is something reserved for the flagships. Camera: This device sports a rear camera of 8 mega pixels with LED flash, auto focus and 1080p video recording features. It also has a front facing camera of 2 mega pixels that enables you to make video calls. The camera will prove to be worth enough of all those occasional clicks that you may expect out of it. Connectivity Features: The connectivity features included in the Galaxy Grand 2 smartphone are Bluetooth 4.0, Wi-Fi, GPS/ GLONASS and 3G. 4G LTE and NFC would have made it stand out from the rest but we aren’t complaining either. 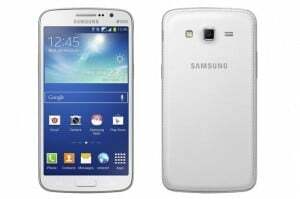 Other Features: Galaxy Grand 2 is a dual SIM device. It features a 3.5 mm audio jack and will comes pre loaded with S Translator, S Travel, S Health, Samsung Hub, ChatOn, Group Play, Story Album, Samsung Link and other exciting applications and services. This device will be available in white, black and pink color variants. Battery: This smartphone runs on a battery of 2600 mAh capacity. The Samsung Galaxy Grand 2 comes with a better display and processor as compared to its predecessor. It is a worthy gadget. Had Samsung priced it under Rs 20,000, it would have been a clear winner. Only time will tell if the consumers are willing to shell out those extra Rs 3,000.